Rather than launch into a lengthy rant about why these bans are ludicrous, let’s just sum up the main points succinctly so as to save time and stop giving this desperate marketing ploy more air. So let’s outline the five reasons why, acknowledge them, and move on as more enlightened beings. Stop applauding this faux moral action and acknowledge the obvious – Target and Kmart want to be in the headlines and thus secure sales in the lead up to Christmas. 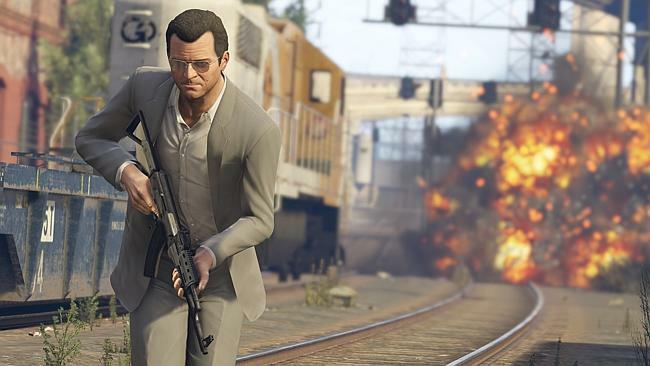 These companies didn’t suddenly experience some divine awakening after selling GTA5 since the end of last year. They’re not doing it out of benevolence and virtue, they’re doing it because they believe that the headlines, and the social media trend it’s created, will get more people through their doors. In some ways, you could almost say bravo – because it’s clearly worked. 2. Yeah, they’ve had it on their shelves since September, 2013. It’s rather easy to make such a decision after the initial sales rush has subsided. Target and Kmart have happily secured thousands of sales from the game for the past 15 months. However it must be said – why would anyone buy games from these outlets anyway? Perhaps another reason why it was such an easy decision. The game is rated R. It is not designed for children, or teenagers for that matter. How about instead of banning the game, we encourage parents to DO THEIR ROLE and ensure that their child is not exposed to that kind of material? Children don’t have access to the game unless their parents dutifully purchase it for them, so instead of playing nanny, outlets should leave the responsibility with the customer. Fifty Shades of Grey: a book that personifies sexual abuse towards women.I’m sure they can’t wait for the sales that the upcoming film will generate! The Killer inside Me: a Jessica Alba film where each female lead is murdered. Maniac: in which Elijah Wood murders (and scalps) women. Saw: pick which one. There’s some scenes that depict defenceless females getting their limbs ripped apart and their eyes gouged out. They have RedFoo’s music on the shelf – heard his latest single? They also sell biographies from convicted murderers and gangland figures. The list could go on – but the point is that if they want to stand high and mighty with their moral posturing, why not go the full tilt and blanket ban anything that may remotely offend? The obvious answer is that this would not be sustainable. Adults, who are the consumers who should be playing GTA (remember, R18+) are sensible enough to separate reality from fantasy, and they are aware that games like GTA are not to be taken seriously. The simple answer to this whole ‘issue’ is the same for people who complain about television shows, music, or any other cultural product featuring material they find offensive: if you don’t like it, don’t watch it. If you don’t want it, don’t buy it. If you don’t want it for your children, don’t buy it for your children. Fairly certain recent studies have found no links between video games and violent tendencies as well. Big W must be loving all their increased GTA sales, they’ll put EB and JB out of business for sure.